(7480, Lena Robitaille Collection, OHS). Oklahoma's smallest American Indian tribe, the Modoc were native to the Pacific Coast. After the Modoc War of 1872–73, 153 Modoc were removed to the Quapaw Agency in Indian Territory. Those who either eluded capture or did not participate in combat against the United States were allowed to remain on Oregon's Klamath Reservation. In 1909 the Oklahoma Modoc were allowed to return to Oregon if they desired. The Modoc refered to themselves in their Klamath language as Maklaks or "people." The Klamath, who spoke the same tongue, refered to the Modoc as Moadoc Maklaks or "people of the south." The historical hearth of both groups was the Klamath and Tule lakes region of Oregon and California. First European contact occurred in the late 1700s, initiated by Spanish missionaries. During the 1830s the Modoc acquired horses and expanded their influence throughout the Pacific Northwest and Intermontane regions of the adjacent plains. The pivotal treaty leading to the Modoc War was that of October 14, 1864. It required Modoc removal from ancestral lands and sequestering to a small area in Oregon's southern Cascades. The treaty area was then "opened by right of way for public roads and railroads across the reservation by and for citizens of the United States," resulting in white incursions and conflict. In 1874 the Modoc were placed on land purchased from the Eastern Shawnee in Indian Territory. Sixty-eight Modoc eventually accepted allotments there. 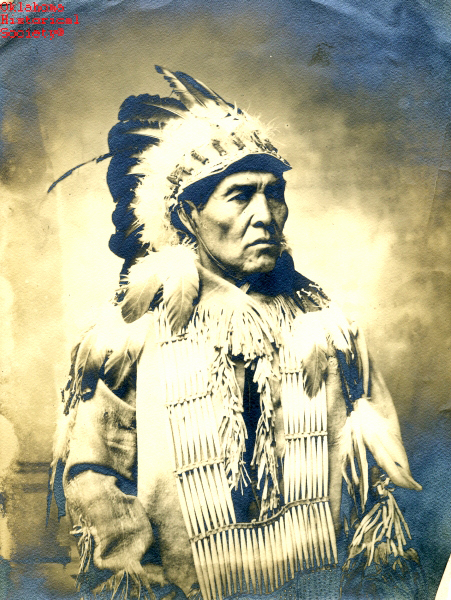 Federal relations with the tribe ceased prior to 1924, and recognition was terminated in 1954. In 1967 the Modoc created an informal tribal government, and the federal government accorded recognition in 1978. A constitution was adopted in 1991. Present interest in Modoc culture and history is intensifying, with many records and materials being collected, stored, and made available at tribal headquarters in Miami, Oklahoma. A Modoc land base is being reestablished surrounding the Modoc Mission Church and Cemetery in Ottawa County. Located southeast of Miami, the site is listed in the National Register of Historic Places (NR 80003293). Miami's Stables Casino is an Indian gaming facility of the Modoc and Miami tribes of Oklahoma. Modoc tribal enrollment stood at approximately 200 in 2006. Albert A. Hurtado, "The Modocs and the Jones Family Indian Ring: Quaker Administration of the Quapaw Agency, 1873–1879," in Oklahoma's Forgotten Indians, ed. Robert E. Smith (Oklahoma City: Oklahoma Historical Society, 1981). Velma Nieberding, The History of Ottawa County (Marceline, Mo. : Walsworth Publishing, 1983). Muriel H. Wright, A Guide to the Indian Tribes of Oklahoma (Norman: University of Oklahoma Press, 1971). Burl E. Self, "Modoc," The Encyclopedia of Oklahoma History and Culture, https://www.okhistory.org/publications/enc/entry.php?entry=MO002.